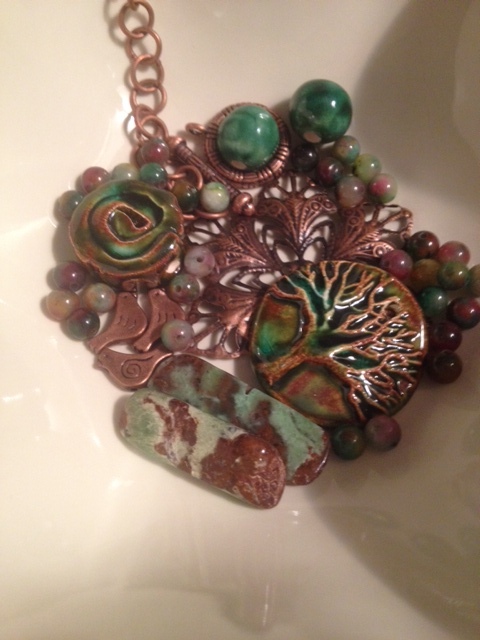 My first year participating in Lori McDaniel Anderson’s Bead Soup Blog Party. For those not in the know a Bead Soup is an event where partners send selections of beads of their choice to each other and then we make a piece of jewelry using their soup. Here is my soup from ceramic artist Michelle McCarthy made in her studio Firefly Design Studio. She has the most amazing beads and nature is her inspiration. 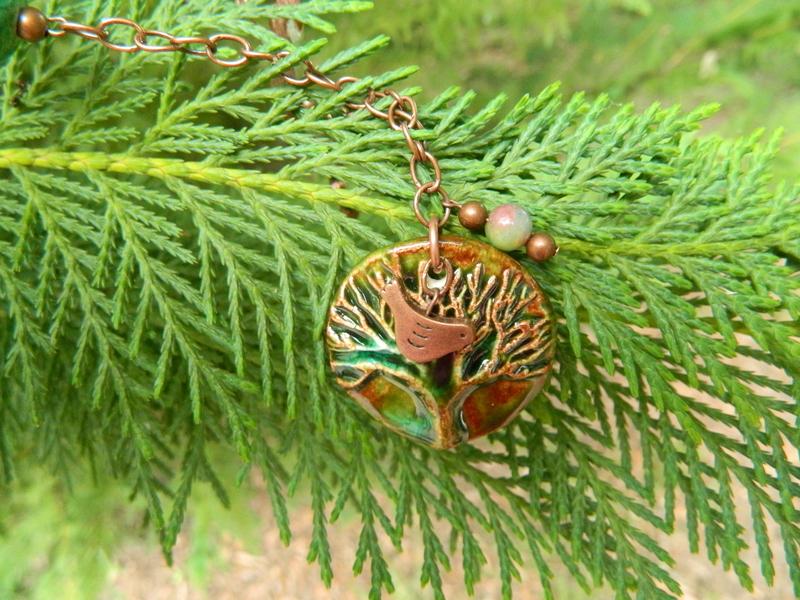 So when I received her soup I fell in love with the Tree of Life pendant. I’ve never used ceramic beads in my design and I have to say I’ve found a new love. Michelle has a way of bring nature alive. The colors and textures are so pretty. When ever I wear a necklace I tend to play with it all day. This is going to be one of those pieces as Michelle has made it come to life. Using all the lucsious ceramic beads here is my necklace that I call “Birds of Life”. The little copper birds were just meant to be added to this design, it bings the earthy greens and browns of the ceramic beads to life. 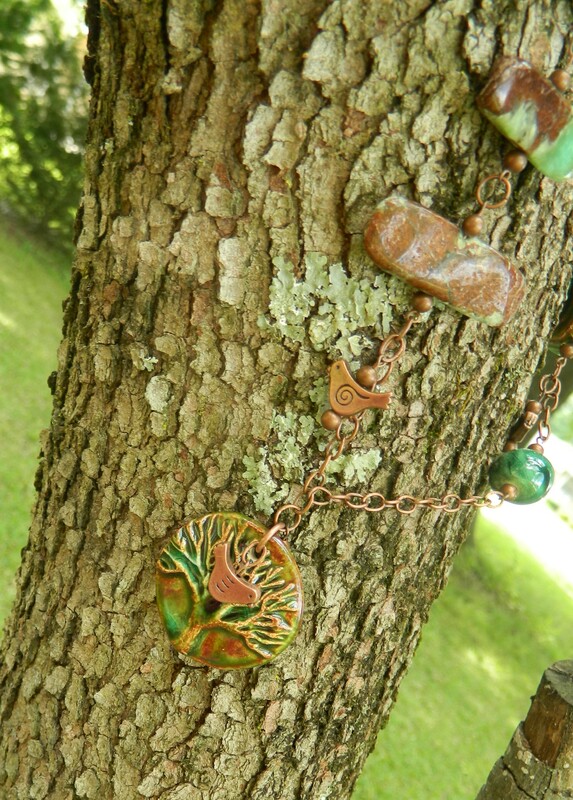 Love how the birds seem to be flittering among the beads and copper chain. I love how this piece turned out and is now among one of my very favorite I’ve ever created. Hope I did justice to Michelle’s beautiful ceramic pieces. 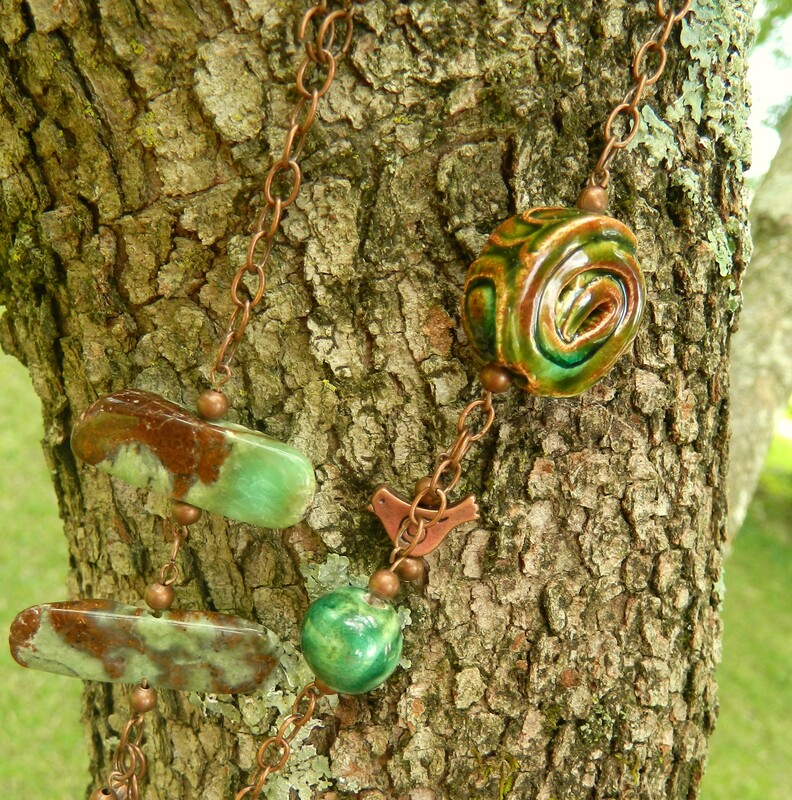 Be sure to stop by Michelle’s blog at www.fireflydesignstudio.blogspot.com to see what she created with the bead soup I sent her. Plus be sure to stop by Lori McDaniel Andersons page and browse through all the bloggers in the reveal. Thanks Lori for having be in the 8th Annual BSBP. Now I'me off to browse the other bloggers.